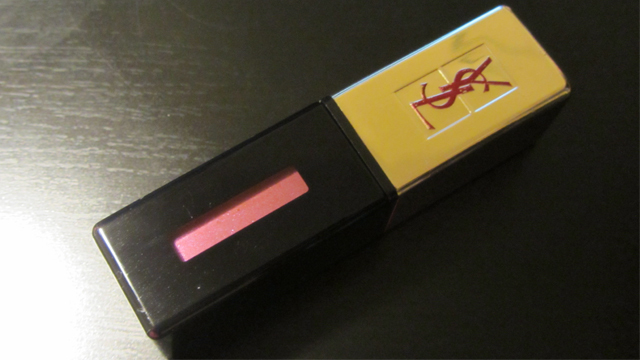 Rouge Pur Couture Vernis À Lèvres – Rebel Nudes in Naughty Mauve (number 107) is the ultimate lip product! It’s the perfect colour for me, technically a purple but due to my natural two-tone dark lip colour, it looks a little pink. I find that purple is a colour that generally suits me best but my extra girly side needs pink. It has a good solid colour with tiny reflective elements to give a glossy but not gloopy look. The reflective gloss effect make my lips look lovely and full in a grown-up way. The colour also lasts a good long time – the colour is a lip stain so when the gloss wears off, instead of naked lips, I have coloured but un-glossy lips, so I still look ‘done’. This is a premium make-up product and it is worth every penny. A long lasting gloss and lip stain in one product? You simply can’t go wrong!